Jubilee Holdings rises their Profit margin by 19% in six months compared to 2016, promised good dividends. - Bana Kenya News, Real African Network Tubanane. 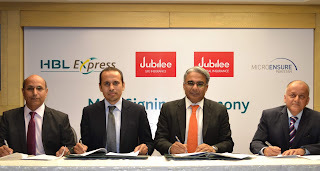 Home Business Jubilee Holdings rises their Profit margin by 19% in six months compared to 2016, promised good dividends. Jubilee Holdings rises their Profit margin by 19% in six months compared to 2016, promised good dividends. The Jubilee Insurance company has made a good profit compared to last year in comparison with quarterly and halfling turnouts. The profit margin rose from the unstoppable turnover of 18%. Insurance group Jubilee Holdings’ net profit for six months ending June 30 rose 18.99 % largely helped by the improved performance of the Nairobi bourse that helped to dampen a sharp jump in claims payments. The listed firm’s net earnings in the period climbed to KES 1.88Bn from KES 1.58Bn as gains from investments at the NSE, largely comprising government securities, increased four-and-a-half times.Net value gain from investments in government paper and equities stood at KES 1.3Bn from a loss of KES 364.91Mn a year earlier, a growth of 455.6 %.Total income increased by 30.16 % to KES 14.89Bn, attributing it to a 13 % growth by the NSE after a two-year bear run. These impressive results were realised in an unpredictable business environment, currency volatility both in the regional and global market, as well as regulatory changes. Jubilee booked gross premiums of KES 18.6Bn, 8.2 % better than the previous year, helping to boost net premiums income by 21.89 % to KES 10.19Bn.Net claims expanded by KES 2.9Bn, or 38.69%, to KES 10.38Bn.Fraud detection, prevention and effective action continued to draw the additional focus of its general insurance business line. The shareholder will be expected to get more from the company in terms of dividends. The shared equity and turnover on the stock index favoured the business and the introduction of local insurance to the company from freight services, the special marine insurance.